Soláthraíonn an Pleanálaí Náisiúnta Turais pleanálaí turais, eolas faoi chláramanna agus faoi thaistil ó gach soláthraithe ceadúnaithe iompair phoiblí ar fud na hÉireann. Is féidir leat an Pleanálaí Turais a úsáid ar líne anseo nó an Aip a íoslódáil anseo. Soláthraíonn an Pleanálaí Turais eolas faoi sheirbhísí iarnróid, bus, tram, farantóireachta agus tacsaí. Faigh eolas comhtháite faoi sheirbhísí traenach, bus agus tram ar fud na hÉireann. 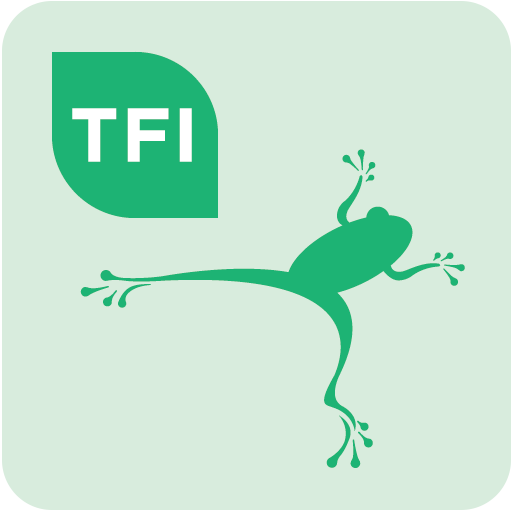 Is féidir leat an aip taistil Pleanálaí Turais d’Éirinn saor in aisce ó Aipmhargadh Apple d’iPhone agus iPad Windows store nó Google Play store do ghléasanna Android. Tar éis duit an aip a íoslódáil taispeánfar na ceithre chnaipe rogha duit. Is iad seo a leanas na ceithre rogha; Imeachtaí, Turais, Léarscáileanna agus Cinn scríbe. Pleanáil turas iomlán ag úsáid ár ngné Turais , a bhfuil amanna bus, Luas, Iarnróid Éireann agus farantóireachta le fáil ann. Sábhálann sé turais roimhe seo do do chaoithiúlacht. Leis an aip pleanálaí turais tá sé níos éasca turas chuig áit ar bith sa tír a phleanáil. Bíonn sé i gcónaí á nuashonrú agus á fheabhsú le freastal ar do riachtanais. What is the National Journey Planner? 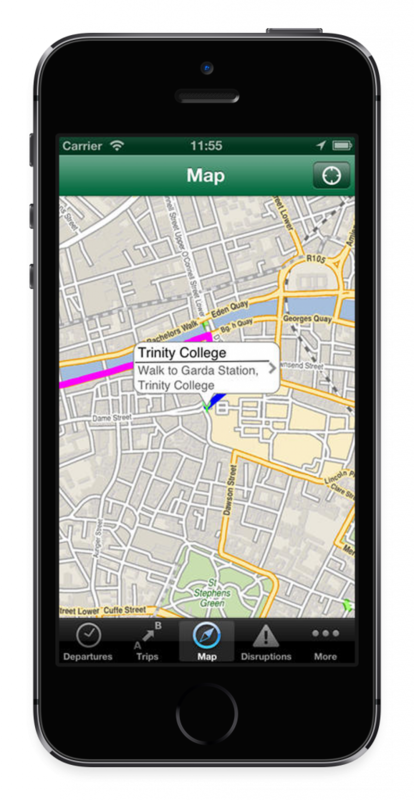 The National Journey Planner is a door-to-door journey planner that provides service information, directions, and time estimates for taking a journey on public transport. How is the National Journey Planner different from other Journey Planners? What information does the National Journey Planner provide to help select the best trip? The National Journey Planner provides a comparison of options for your journey on public transport including all the services available. An overview of each option of these journeys will be displayed, along with the other alternatives available. What are the advanced features of the National Journey Planner? Will the National Journey Planner offer additional features in the future? Features still to come include real time public transport information added to your journey planner and a cycle journey planner. In addition, updates and improvements to the National Journey Planner will take place on a regular basis. What Internet browsers does the Journey Planner work with? Do you track my journey plan requests? This site uses only temporary cookies to keep information and only for internal tracking purposes or to improve the user experience. We do not retain any information related directly to users of this site. 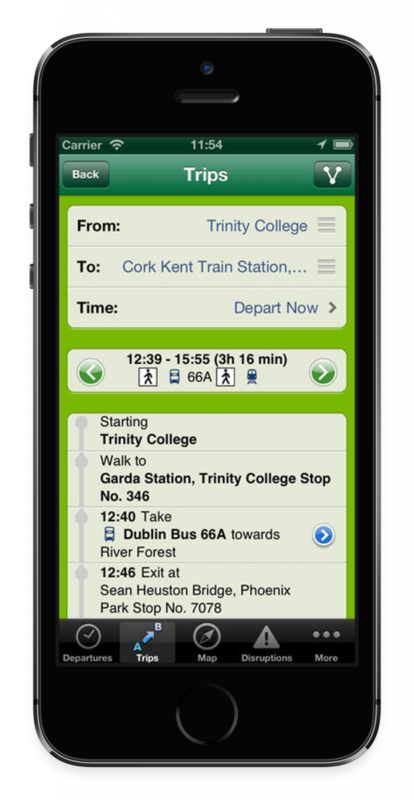 The advance settings allow the user to customise the journey planer to their individual requirements. Example - the speed and distance we wish walk varies amongst individuals, using the ‘walking speed and preferred walking time in advanced settings allows the user to more closely select journey plans that meet their needs . Note that the National Journey Planner may override and not apply some of these advanced options when those preferences result in trips that are either illogical or significantly worse than the more standard trips along these routes. The National Journey Planner provides a quick button located between the 'from and to' panels which will reverse the journey entered and provide an updated journey plan. To change a location point that you have placed in the wrong spot on the map, you simply right click on the correct location and a new journey plan is generated. Replacing the text in the 'From and To' boxes will also allow you to then set points for those locations”. If for some reason this does not work, click ‘New Journey’ and start again. Why does the National Journey Planner show several different journeys? Why is the response time slow at times when I use the National Journey Planner? The National Journey Planner is complex and requires a lot of back and forth activity between the host server and your computer network, and within the browser, which can affect the response time. Because the journey planner is constantly being assessed and updated, you are likely to find improvements in response time as the product matures. Why do some of my journeys seem illogical or unintuitive when I believe that there are easier ways to take them? The National Journey Planner uses all inputs to determine which journeys best match the basic journey details for user, such as departure time, transport schedules, mode preferences, maximum walking distance, etc. Sometimes trips that may seem most intuitive (for example, a journey starting at a bus stop closest to you) may not be shown, because due to bus schedules, the journey that starts closest to you is not among the fastest trips at that time. In addition, in areas where public transport is less frequent the National Journey Planner will try to find some journeys to display if possible. Even if the only ones available for your transit route do not depart within a short time of your planned departure, or do not follow transit routes that travel during some times of the day but not at other times. Where can I find the Bus Stop number? The bus stop numbers that are referenced in the National Journey Planner are those that are provided by the operators. The stop numbers are normally displayed on the bus stop sign. Unfortunately, not all operators use this method to identify bus stops thereof the stop name, which usually indicates the location is also included in the journey plan. How do I see more Journey Plans if I don’t like the first 3-4 that come back when I plan a Journey? On the journeys tab, links for Earlier Trips and Later Trips will appear near the top and bottom of the itineraries. You should also consider changing the advance settings. Sometimes the maps don’t show all the street names. How can I view these? The maps on the journey plans can be rather small, and the street names appear automatically at certain zoom levels. If you’re not seeing the street names that you need, you can zoom in and out of these by clicking or scrolling the mouse. These maps will also appear on the Print version, in slightly larger size as well, and can be interactively zoomed and positioned for a better view on the screen and in printouts. Some walk times shown on the National Journey Planner seem to be longer or shorter than what the walk time is in reality. Why is this the case? Why are there no real-time journey planning info for journey plans? Real time information is available from the real-time website and should be integrated into this website by the end of 2012. How do the Printing functions work? How do I print a journey plan? Any number of journey plans can be selected using the print menu and each element of a journey plan can also be selected for printing by expanding the individual journey tab The Print version of the journey plan will expand the details for journey basics, preferences selected, walking directions, detailed schedule alternatives around the planned journey time, and parking options as applicable. By default, the Print version of the journey plan will show both text and overview maps, but these can be chosen to display or not display as preferred. Detailed Maps can also be selected for each journey element. Can I save a print out? Most print material can be saved in PDF file format. This file then can be, stored, emailed, and printed later. How can I see and print out a timetable? The Journey Planner can produce timetables for all services. The timetables are in pdf format and can therefore be viewed, saved emailed or printed at any time. 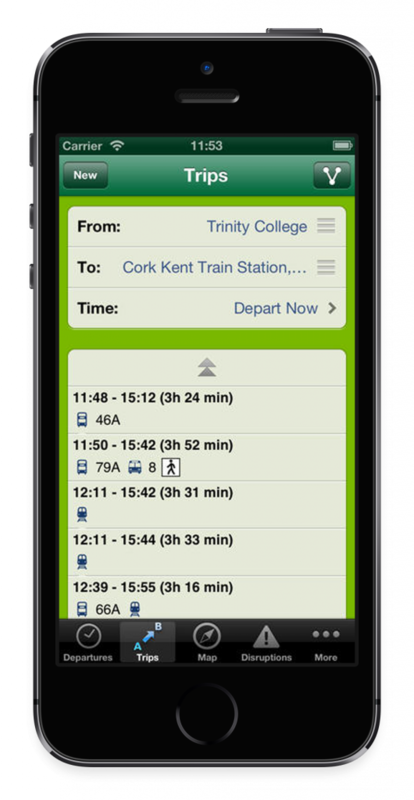 Individual timetables can be viewed by using find a timetable tab. In addition, if you select an individual journey plan the origin and destination services will be available to download.